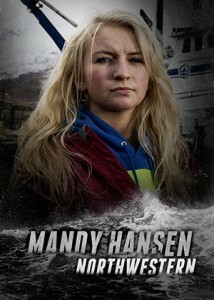 Mandy takes after her father, Captain Sig Hansen, in more ways than one. She is charismatic, hardworking, and headstrong. After several summers working on theNorthwestern for salmon tendering, Mandy is certain she wants to work full-time on deck as soon as she graduates high school. 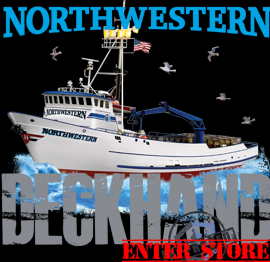 Sig does not approve of “fisherwomen,” but if his daughter is going out to sea, he would rather her fish on his deck where he can keep an eye on her. A resilient young woman, Mandy will join theNorthwestern as a greenhorn for Opilio season, where she’ll be tackling a job that has made 40-year-old men cry.